Always one of USC Housing's most popular and sought after buildings, Twin Palms is a cozy two-story graduate structure with a variety of apartment styles. All of Twin Palm's bedrooms are single occupancy, affording a great mix of individual living and affordability. 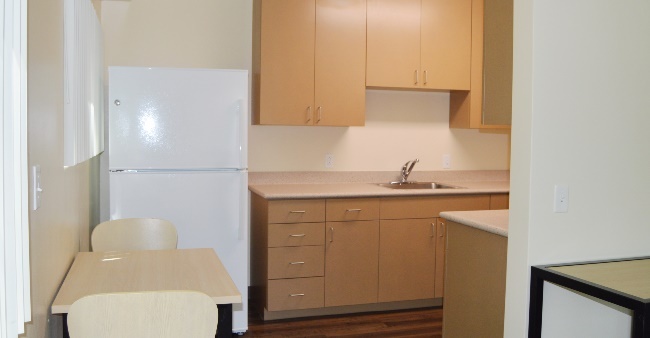 The two bedroom units have a separate bathroom and closet for each resident. Recent upgrades include all new kitchens and baths, new heating and air-conditioning systems and modern flooring and furniture. 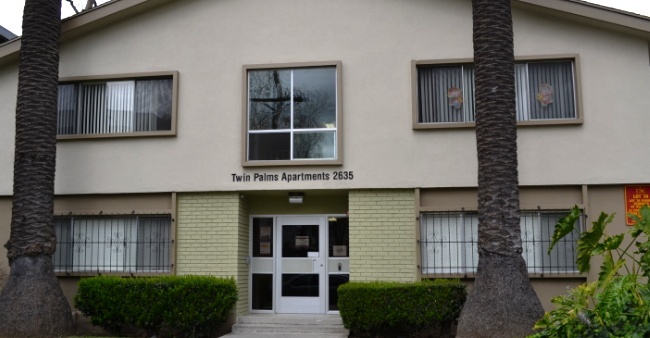 Twin Palms is located in the middle of off-campus university and non-university student housing. The area's Customer Service Center at Sierra is across the street. Residents will have the Graduate Full Year contract term, which begins in early August and concludes in late July. 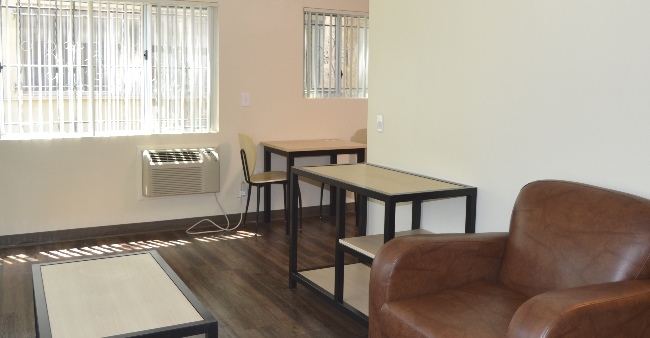 Twin Palms is convenient to the shuttle and an easy walk or bike ride to campus. Limited parking is available behind the building.